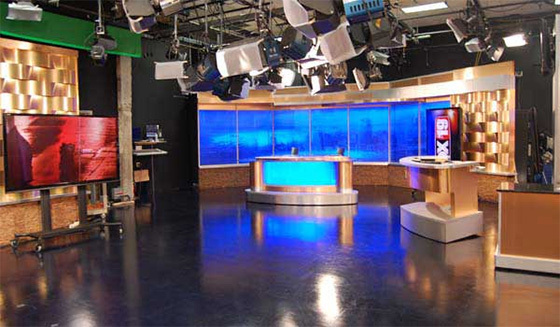 WXIX-TV, the Raycom Fox affiliate serving Cincinnati, debuted a new set from FX Design Group. The design includes a unique copper color palette and a mix of modern technology, with the goal of creating a warm and inviting environment. The set features a unique color changing background camera center, a large weather center and multipurpose area. Multiple copper wave walls are used throughout, which add warmth and depth to the set. The multipurpose area includes a 3×3 monitor array, build with 46″ monitors. This area can be used for interviews, breaking news, demonstrations or any number of other options. With severe weather always a threat in the area, the weather center includes an 80″ monitor with five working weather positions. 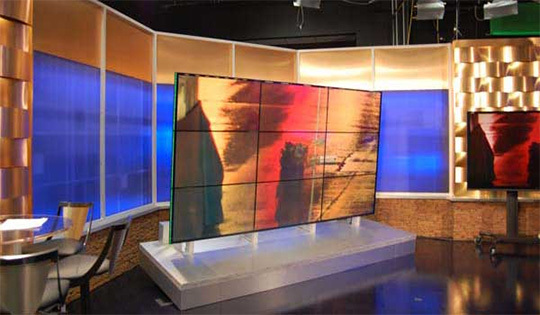 The station has posted a story on the new set, with a slideshow gallery of the installation.